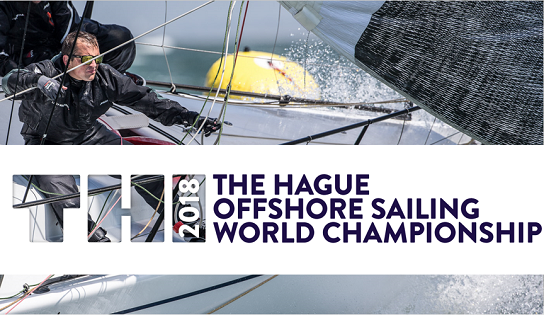 From 12 – 20 July 2018, the Offshore Sailing World Championship is held in The Hague. Offshore racing is performed on different type of yachts between 9 and 20 meters in length. Clever hi-tech models give each racing yacht a handicap, which are refined year on year. In 2018 it will be even more exciting; the 2 leading handicap systems IRC & ORC have joined forces, efforts and knowledge into 1 combined World Championship Offshore Sailing. The challenging seawaters of The Hague will host the best 150 racing teams of the world out of 15.000. For over a week a combination of offshore and inshore racing will challenge these boats and teams to determine who are the best in the world. Why choose The Hague for Offshore Sailing World Championship 2018? In 2018 the city of The Hague will be all about sailing and a sailing showcase to the world. Over the years, Dutch ORC and IRC teams have enjoyed the hospitality of previous Worlds organising countries. Attending events around the globe, the Dutch owe it to the offshore sailing community from all over the world to invite them to the low lands to experience the hospitality and the treasure called ‘North Sea’. The Hague, with its charm, history and modern seaport is the perfect location to host the Offshore Sailing World Championships in 2018. The compact port is more than sufficient to accommodate all boats just a stone’s throw from the competition areas. The surrounding event grounds will complement the Race Village in addition to existing lively streets and boulevards offering a wide variety of restaurants, bars and shops. Every member of a team participating in the World Championships appreciates that sport requires teamwork, focus and dedication. To organise a World Championship requires the same dedication, focus and teamwork. The organising committee in the Netherlands looks forward to organise the ‘best-in-class’ event for all stakeholders and for participating sailors to leave with a big smile and life-long memories. Sevenstar Yacht Transport is Official Ocean Transport Partner The Hague Offshore Sailing World Championship 2018.